This perennial wildflower is native to the Mojave and Sonoran deserts of the southwestern United States. 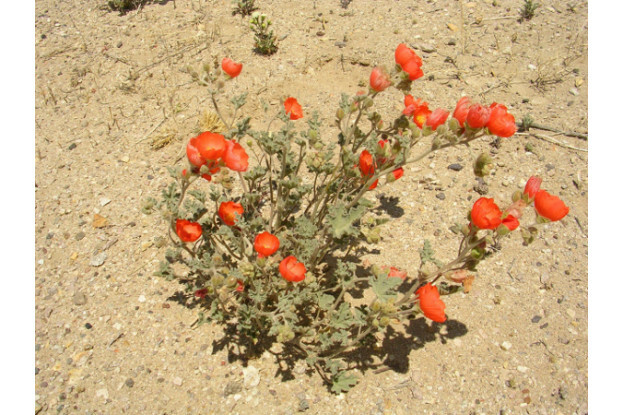 Desert Globemallow is extremely drought tolerant and produces orange and red flowers from March through June. It can grow up to three feet tall and has a bushy growth habit. It prefers sandy, well-drained soils and full sun. It looks great in rock gardens, along roadsides, and grouped together in mass plantings.